Channels are where you sort notes in Slite. They're always present in the left column so that you can easily jump from one channel to another. Bolded channels mean there's been activity you haven't viewed yet! Public channels: all the notes will be visible by your entire organization. Great for channels where your team share processes and/or meeting notes. Private channels: these are channels in which only specific members belong. Great for channels where you collaborate on content, brainstorm etc. You can check out our templates for ideas! All the notes and collections in this channel follow the privacy you set at the channel level. 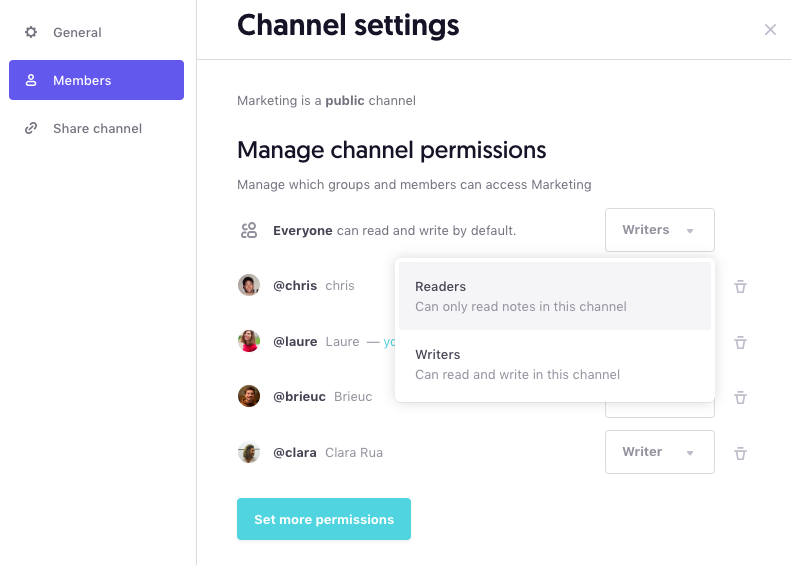 As channel creator, you can set member permissions at the channel level in the channel settings. The channel creator is automatically an admin. 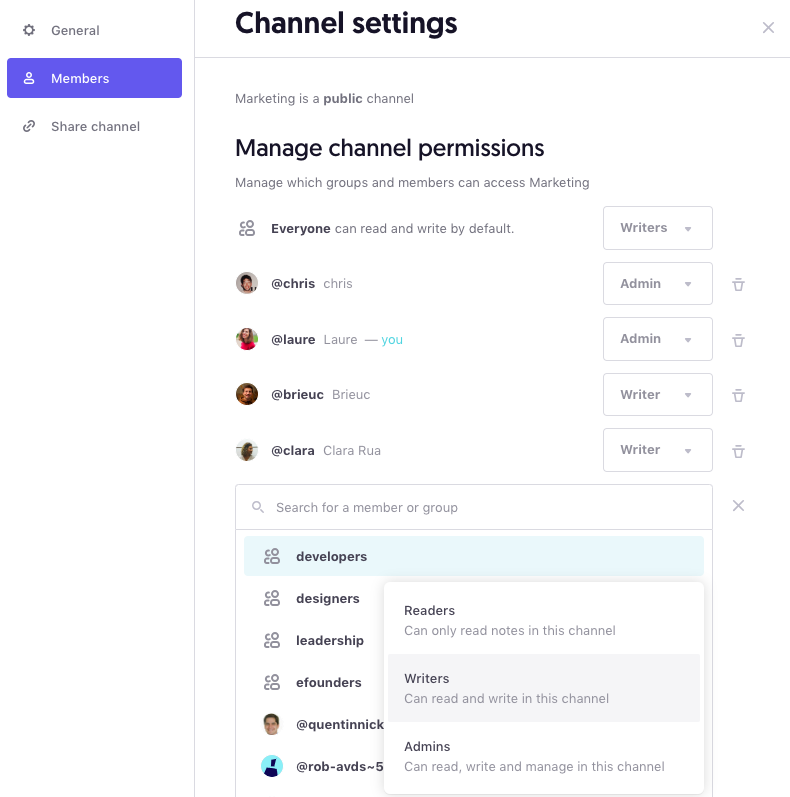 Manage the channel: add members, rename channel, delete channel. Note: Team admins have these rights on all channels except Private notes.